I rarely get the consumer bug. Anyone that knows me well also know that if you want to take me shopping, chances are you’re going to have to drag me screaming and yelling the entire way. I rarely “lust” after any gadgets. Even my computer which I spend most days on is nothing more than a basic model picked up at Costco that gets the job done. Most of the things that I have which aren’t necessities tend to be gifts given to me by others because they think that I need it. In other words, I just don’t by a whole lot of stuff. I’ve never owned a cell phone. I’ve never owned a digital music player. It’s been over 10 years since I have even worn a watch. So, you can imagine my surprise when I found myself saying “I want that!” upon seeing a $200 watch that caught my eye. This is especially surprising because normally if I decided I needed a watch, I would go the total utilitarian route. I would buy something that was inexpensive but dependable which would cost far less than $200. This is the watch that I want. 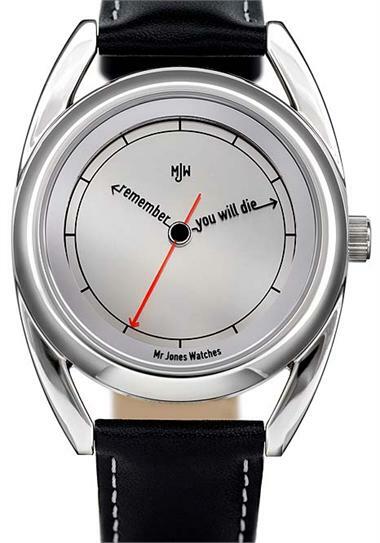 My sister told me that I was morbid for wanting a watch that says that, but it’s exactly for the opposite reason that the watch appeals to me. I actually think that the watch would make me more productive — something right there on my wrist reminding me that life is short and to make sure to utilize every minute that I have doing the things that are important to me. I can fully understand how this watch wouldn’t be something that many people would find appealing, but knowing myself and what motivates me, I think that owning it would help motivate me to do more of the things that I want to do. All that being said, I haven’t purchased the watch. Being on the minimum wage challenge, I recognize that this is a want rather than a need. I’ve lived the last 10 years just fine without a watch so even though I want it, it really makes little financial sense for me to buy it at this time. At some point I’m sure that I’ll get it (it has passed my one week test — most things that I want to purchase that aren’t essential I wait a week to see if I still want it. If I don’t, I have saved money and if I do, I know that I really want it), but that time isn’t now due to the current financial circumstances. Maybe I’ll ask for it as a gift or more likely, I will save during this year and purchase it when I feel more confident that it doesn’t have the potential to come back and financially haunt me (I think it would be a nice gift to give myself when I win this challenge, especially since my sister doesn’t like it). Even though I know I don’t buy much stuff compared to a lot of people, and that I could probably buy this now and get away with it, it’s still essential for me to recognize the difference between my wants and needs to make sure that I don’t get into trouble with my budget. With the car having the clutch clicking issue and me deciding not to travel until I can get it looked at and fixed, the last two days have been spent at the house working on the computer (not exciting, but hopefully it has helped me get ahead enough in my writing that I can do a bit more traveling when the clutch issue is fixed). I have taken my daily walk to Annadel State Park which is only a mile away from the house and has a lot of nice hiking trails. I feel pretty good about how the first month has gone. February is looking to be a bit more challenging with no house sitting jobs lined up, but I’m feeling more confident that I can pull this challenge off. While I know there will definitely be some challenges along the way, I have built a bit of a cushion this first month which means I can weather them as long as they aren’t too big. I’m looking forward to the challenges ahead. I’m an introvert. This usually surprises most people that I meet, but that’s because most people don’t really understand introverts well. There’s an assumption that introverts are shy, quiet and timid, but anyone who knows me knows that those descriptions are in no way how anyone would describe me. I can usually hold a pretty meaningful conversation on most topics, I enjoy interacting with small groups of people I know well, and my guess is that most of my friends wish I was a little less willing to share my opinions. This gives a pretty good description of the way I am (and I encourage you to read it to get a better understanding of any introvert that happens to be part of your life). What does all of this have to do with the upcoming minimum wage challenge? I’ve started to realize that to have the best chance to succeed in this challenge, I’m going to be forced to move outside my typical comfort zone and the one area where I will be challenged most is me being an introvert. 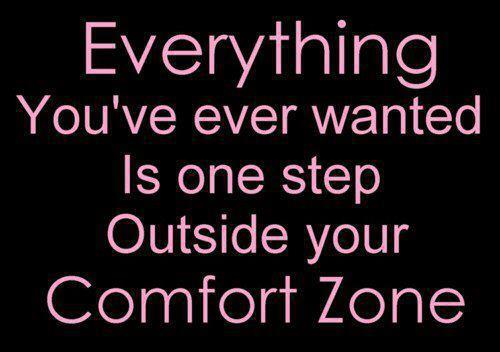 The truth is that to make significant change, I will have to move out of my comfort zone. While this certainly applies to finances, I think it also applies to all areas of life. I think that a big part of the success or failure of this challenge will depend on my ability to challenge my comfort zone. The first step is to take the emotion out of the decision making process and look at it strictly from the point of view as to whether an activity will be beneficial toward the challenge. While I know a lot of people who have a huge problem removing emotion from financial decisions, I’m luckily not one of those people. I should be able to look at each situation objectively to determine whether or not there is an opportunity for it to help the challenge succeed without taking into account any anxiety or discomfort that situation may cause me personally if I do pursue it. Once I have determined if something will be beneficial, I will need to actually act on it. It sounds easy, but I know that I am pretty good at getting out of things that seek to take me beyond my normal comfort. In order to keep myself accountable, I will need to let others know what I am planning to do. This challenge is a perfect example. By putting it out there for everyone to read, I know that I have a much better chance of success than if I had simply made the bet and didn’t let others know about it. I know that the readers will help me stay accountable by sharing the goal and the plans I have. In that sense, when situations arise that would be beneficial for the challenge which push my comfort zone, I am going to need to announce them in this blog and to other close friends to keep myself accountable and on track to success. I have a tendency to jump in full force at 100 miles an hour (kind of like this challenge) which often ends up me being the rabbit in the tortoise and the hare fable. I need to remember to be the tortoise during the challenge. That means not taking on every single activity which falls out my comfort zone, but picking and choosing the ones that are likely to give me the greatest benefit to help with the success. While moving beyond my normal comfort zone will be essential for me to ultimately succeed in this challenge, trying to do too much in too short a period of time will guarantee failure. I need to keep reminding myself that with finances (as with most things in life), slow and steady baby steps can take you much farther than trying multiple big changes that never hold. I think that if I can break the challenge into a lot of smaller baby steps and tackle each of them, I have a good chance of doing well. The key will be making sure I don’t accidentally overwhelm myself when it comes to those steps that fall outside my comfort zone. I need to remind myself that when I do venture into those areas that are outside my comfort zone, the results aren’t always going to be what I hope or expect. Rarely do things work out exactly as planned, and that it certainly even more true when it comes to activities with which I’m not familiar. The fact is that the chances are even more likely that things won’t go according to plan when I try new things because there will inevitably be a learning curve. Those mistakes, while frustrating and discouraging, are important learning lessons that can help a lot in the long run as I take away valuable information from them. I just need to remember that what seems to be a failure is not a failure unless I fail to learn something from it. Once I have committed to going outside my comfort zone, I want to take the time to look at whatever lessons I learn and adapt them to help me do even better in the future. It’s important for me to remember that even those mistakes will hold lessons that can help me improves and that the activities that succeed can likely be improved upon. As with most things in life, it’s a never-ending process of trying to improve that much more. If I am able to adapt from whatever I learn, I should have a good chance of succeeding. This year marked the 5 year anniversary of my Grandfather’s passing. When he died, it was like losing my father. In fact, he was the only father figure in my life for my first 8 years until my mother remarried. So it’s no surprise his death affected me as deeply as it did. This past thanksgiving, while surrounded by my family and sharing memories of past generations, I found myself reflecting on what a remarkably different life my grandfather lived from mine. It really helped me to gain a perspective for many facets of my life today. My grandfather was born in Germany, in 1922, but his parents immigrated to the U.S. while he was an infant. He was eight years old when the Great Depression began. He worked as a farm hand, paper boy, milk delivery man and dozens of other odd jobs until he graduated high school. 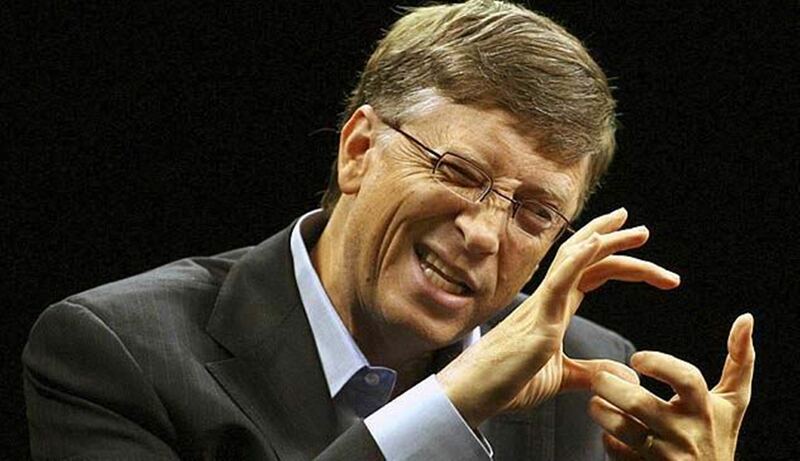 The money he made from these jobs went to help provide for the family. By contrast, I didn’t have a job until I was 15 and that was just a cushy job stocking shelves in a local book store. I had a number of other, similar jobs at department stores throughout my high school and early college career but I looked at every one of them as a nuisance. It was just formality I had do endure to get money every week for the movies. I never had to provide for my family. I have since realized how fortunate I was not just to have had the jobs I have had, but to have any kind of job at all and to have the income as my own. Knowing what simply living in the Great Depression was like for him, I have a sense of calm in the current economic storm. That calm comes from the perspective gained that the current economic condition, as bad as it may get, is nowhere near the Great Depression. My grandfather’s father (whom he always called “POP”) worked in the kitchen of a prestigious golf course restaurant. Since he had lived his entire life in Germany and didn’t know very much English, he was greatly limited in the opportunities available to him. But he didn’t complain. He didn’t expect those around him to learn German. He worked late into the night learning English. Eventually, he became the Matre’D of the restaurant. Nothing was handed to him – he worked for everything he got and took each setback as a minor bump on the journey to a better life. I don’t expect a promotion, a big raise or bonus simply for being present at my job. I realize the job itself is not a given and I need to provide real productivity for my employer. I wish some of my coworkers at the same perspective. When America was thrust into World War II, my grandfather served his country as so many of his generation did, with a selfless sense of duty. He didn’t talk much about his time in “the war”. When he did talk about joining the military, he was very nonchalant about it. To him, and many of his generation, it was just the thing you did. After his passing, we learned a few more details of his service though. He originally enlisted in the Air Force, but had a “disagreement” with superior officer and was transferred to the infantry. Did I mention he was a stubborn German? Because of the sacrifice of his generation, I have never had to consider such world altering events. Knowing that he volunteered to fight for his country at a time when many did not, has given me the perspective to see much of the trials and tribulations in my everyday life as just plain silly by comparison. He had put his dreams of a family life and career on hold for a higher purpose. After the war, my grandfather got a job at IBM. He started as one of the guys who fed punch cards into the mainframe computers. He had to travel 60 miles each way to work. His commute took him over a 7,793 foot bridge that only had timbers as makeshift curbs for the first 4 months he traveled it – it was still too cold to pour concrete guard rails! He worked his way up to be a programmer and was a mid-level manager by the time he retired. There are mornings that I wake up and think I just cannot bear to go into work another day. I’m a software developer and I work with a few code jockeys who are fresh out of college and think they know everything. Worse than that – it is their firmly held belief that they are entitled to the rewards and responsibility that those with 15 years experience in the field have. I know the code jockey type because I used to be one. I complained when the project I was assigned was too boring and uninspiring. I felt that the world owed me whatever my naive heart desired. I complained when I had to drive 45 minutes to work with a little traffic and no obvious peril! I’m not the same person anymore. Mostly because I’ve just grown up over the years, but I can’t help but think that much of that “growing up” process is due to the perspective given to me by my grandfather. I face many challenges in my life that my grandfather and his generation never had to contend with. His generation was the last to work for one employer most of their lives and receive a retirement provided for by company pension and social security. Social Security will likely be a bust by the time I retire, and the number of companies offering pensions is rapidly dwindling. Even so, I have many more options and control over my career than my grandfather’s (or even my father’s) generation, and I have the perspective of history to guide me through moments I might otherwise give in to panic or selfish immaturity.